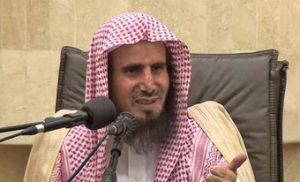 Saudi governor of Assir province, Faisal bin Khalid bin Abdul Aziz, has banned a top cleric from leading prayers and all religious activities after the cleric indicated that women have ‘half the brainpower of men’ when they drive. Sheikh Saad Al-Hijri, the head of government’s religious edict authority in the southern province stirred controversy during a recent religious lecture on ‘’the evils of allowing a woman to drive’’, reports say. Al-Hijri reportedly told the audience that women ‘lack intellect’ and that given the fact that they have half an intellect, they should not be given a driving license. Women are not allowed to drive in the most conservative Arab nation. The senior cleric also pointed out that when women go out for shopping their intellect is reduced again. “And if they go out to the market this gets halved again! So they now have a quarter of an intellect,” he said. The remarks caused waves on social media with many people calling for sanctions. The ban, according to the province spokesperson, is issued to prohibit use of preaching platforms to spread controversial ideas that diminish the values of humans. The cleric’s remarks antagonize with the kingdom’s new policy towards women promotion. Authorities have this week allowed women to enter for the first time a stadium in order to attend celebration of the national day to take place this week-end.